Scott is the Owner, Artistic Director and Chief Choreographer at Elite Dance Centre,LLC. He opened Elite Dance Centre in August, 2013! Scott was an instructor and choreographer for his mothers dance studio, Laura's School of Dance, for over 10 years before he solely concentrated on his Beaver Dam studio. His background is in contemporary, lyrical, modern, jazz, hip-hop, ballet, tap & musical theatre. Scott currently instructs 8 nationally awarded dance teams! Scott has choreographed for numerous musicals including: Legally Blonde: THE MUSICAL, Singing in the Rain, Aladdin, Once upon a Mattress, Shrek and many more. Scott has received multiple dance scholarships upon audition- his first at age 7 with Tremaine Dance Convention in Chicago. 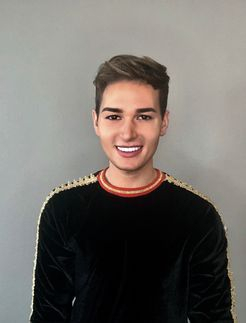 Along with his many accomplishments, Scott travels to NYC several times a year and dances at Broadway Dance Center and Steps On Broadway dance studios. Scott also takes classes with The Joffrey Ballet in Chicago and believes strongly that dance professionals should never stop learning. Scott stays ahead of the crowd with the latest dance trends! Dance is Scott's entire being and passion. He works extremely hard to make certain that all of his students fully understand the art of dance. Scott's students are his first priority and he only wants the best for every child that steps through his studios doors. Scott is the teacher and mentor to many established dancers who have received multiple "Stand Out Dancer", "NYC Dance Alliance Workshop", "Las Vegas Tour", "I Love Dance Boston", "Celebrity Competition", "Jr Crew Member" , "Senior Crew Member" , Title Winners and many more! Scott currently choreographs for The Miss Wisconsin and Miss Wisconsin Outstanding Teen pageants held in Oshkosh each June! Scott was a participant at the PULSE NYC teachers workshop exclusively for certified Dance Educators. Scott is very passionate about teaching, educating, choreographing, music, organization, and traveling! Scott says: "Nothing is comparable to my students and dance. Watching them grow, learn teamwork, confidence, motivation, and dedication to improve and succeed, not only in dance, but in life. I look forward to many more years of sharing my artistry and knowledge with others!" Zoe is Elite Dance Centre's newest dance instructor! Zoe teaches, jazz, hiphop, ballet, musical theatre & contemporary! Her background covers each genre! Zoe is a former student of Mr. Scott & we are happy to have her apart of the Elite Family! 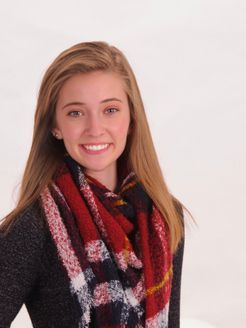 Zoe's Positive attitude and upbeat persona make learning fun and the dancers love her classes! ELITE DANCE CENTRE is proud to host over a dozen guest master-teachers each season! All master classes are posted on the bulletin board across from the front desk & are typically on Wednesday evenings & weekends!